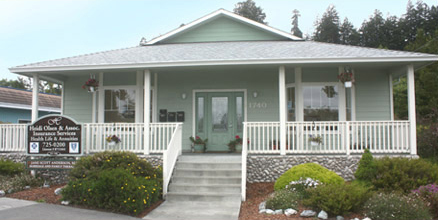 Looking for an Affordable Health Insurance plan in Fortuna California? Finding the right health insurance policywith the maximum amount of benefits can be daunting. We will help you determine the health care plan that is best for you. Unsure how Health Care Reform will affect your Employee Benefit policy? As an Anthem Blue Cross Circle of Excellence agent, Heidi will help you determine what is the best group health insurance plan for you and your employees. Confused about The Affordable Care Actand what you need to do to abide by it’s mandates in California? Heidi Olsen is a Covered California Certified Agent and is prepared to help guide you through the Exchange process. Call Heidi today! With over 20 years of insurance agency ownership and independent agent experience, Heidi has the wisdom and fortitude to solve problems and find solutions in this challenging industry. Heidi’s personal message to all of her prospective clients and those shopping for a reputable insurance representative is simple – “I would love to be your local agent”. You can rely on Heidi’s experience in the Health Insurance industry to help you evaluate your needs and understand how the new insurance plans under ObamaCare will affect you. Proudly serving all of Northern California – Humboldt County, including Fortuna, Eureka, Crescent City, Loleta, Ferndale, Klamath, Fort Bragg, Mendocino and surrounding areas.